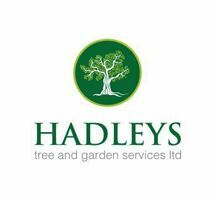 Hadleys Tree and Gardening Services Ltd - Driveways/Patios/Paths, Fencing/Gates, Garden Services, Landscaper based in Potters Bar, Hertfordshire. We are a professional gardening company in the North London area. We specialise in garden/grounds maintenance, fencing, heavy duty bespoke sheds and shed bases, turfing and more. As a company, we have been established for over 10 years in the industry and are very competent at what we do. Our maintenance team alone has over 35 years’ collective experience and our landscapers and fencers have over 15 years’ experience in the industry. At Hadley’s', we pride ourselves on our high quality and professional standard of work consistently achieved by our experienced and friendly workforce. We guarantee all of our work for your piece of mind.